Donate: Do Good and Feel Good About it. Closet City received a great email newsletter today from our friends at MainLine Neighbors. The message provides names, phone numbers, and website addresses to a variety of charitable organizations. 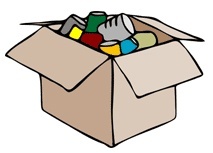 Furthermore, each of these organizations allow you to donate everyday household items. These items range from career clothing to used cell phones and everything else in between. Since this is uploaded in January, it seemed appropriate to continue our recent "season of giving" a little bit longer. What better way to help someone in need than to give away gently/never used items you no longer want? You may no longer need or like these items, but someone else who doesn't have any will be thrilled to have them. And you can feel good knowing that what you donated is helping someone in your own local area. In addition to doing something good that will help others, you will also be clearing up clutter in your home. This is definitely a win-win situation! You can review the list of charities by clicking on this link below. And, should you need help in organizing the remaining items you have stored, feel free to give us a call. We would love the opportunity to help you! Related Posts: Are you a Scatter Organizer?